Digimon has had somewhat of a strange history outside of Japan, despite an initial surge of interest around the time it released it is often regarded as a poor mans Pokemon due to it’s similarities. After spending sometime with Cyber Sleuth you can see just how different the title is to Pokemon and why it should be considered a viable alternative just like Yo Kai Watch. 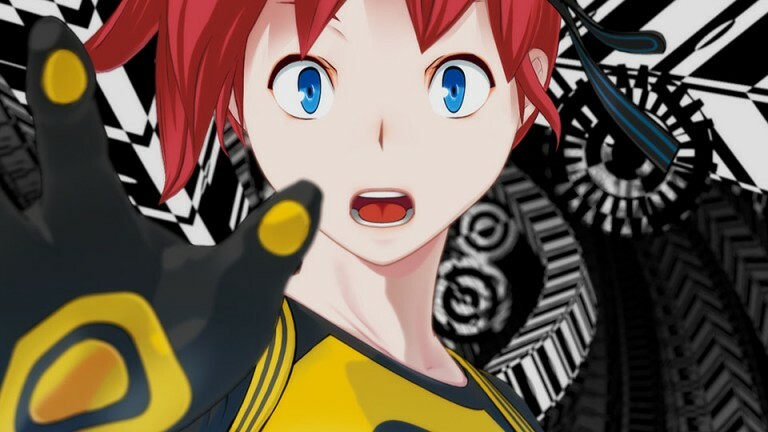 Cyber Sleuth is set in Japan in the near future, the world is ruled by the Cyberspace Eden, the next generation of internet where users physically enter it and get the information in real time. Naturally where there is a service like this you’ll also get Hackers, their aim is to ruin Eden and steal people’s accounts and avatars, as luck would have it your character either male or female has a particularly nasty run in with some hackers and a rather angry Virus. 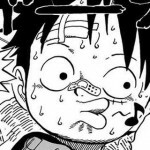 Fortunately you have been given Hacker skills and with this a means to fight back in the form of Digital Monsters or Digimon!. 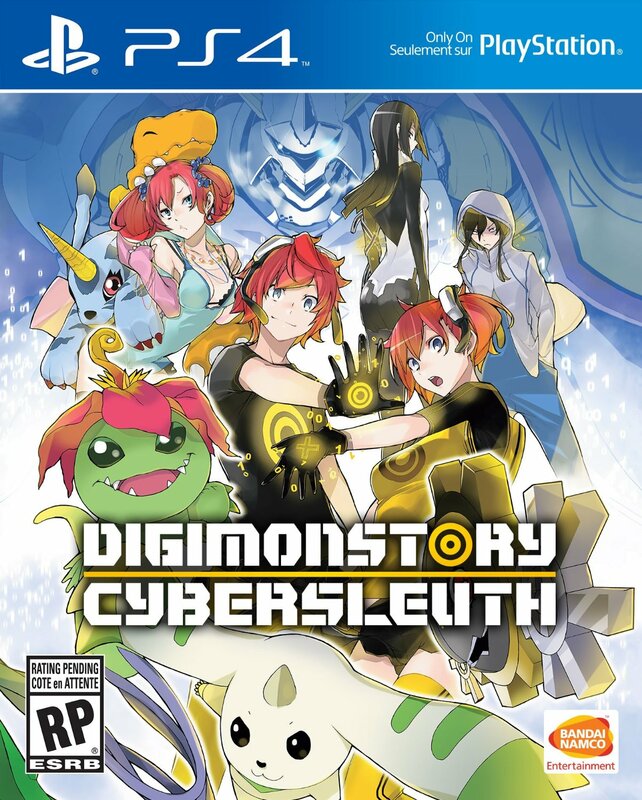 More events transpire and you end up working as a Cyber Sleuth for a quirky detective agency trying to uncover the cause of the recent phenomena of Eden Syndrome. Initially the story seems a little full on throwing a lot of infomation at you but it does settle down further in and gives it all time to sink in. The setting is brilliant and sets up for some vibrant areas and different surroundings for online and offline, the characters designs are brilliant and should seem VERY familiar if you have played the Devil Survivor series. It’s bright and vibrant which helps keep you interested in the game and will see you throughout the story discovering the differing locales. Of course no teen based JRPG set in Japan would be complete without Shinjuku and maids both of which are here!. Unfortunately as bright and colourful as the game is it doesn’t hide the fact in it’s graphics or animation that it is a PSVita port, now if Vita is your choice of format then you can ignore this but for the console version of the game the animation seems rather B Movie at times and the game just has a feel like it was never fully intended to be on the console, it moves at times almost too fast and the areas are rather sparse. 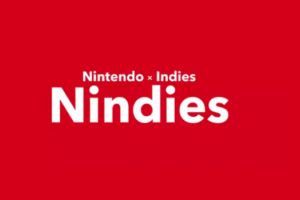 Though it’s not such a massive issue it does at times detract from the console experience and it would of been nice to see this title use a little more of the Playstation 4’s power. The game is fully subbed with a Japanese vocal track and no English Dub, with the setting being in Japan I personally didn’t find this to be a problem and the vocals were quite strong bar the odd character being slightly jarring (Nokia i’m looking at you!). The soundtrack matches the theme perfectly and often has either slightly J-Pop sounding tracks or electronic/techno styling which matches this “Cyber” adventure. Field Exploration is set up between Real World and the Digital World, in the Real World you’ll wander around shops, accept sub quests, see a little bit of Japan, talk to NPC’s and that’s about it. 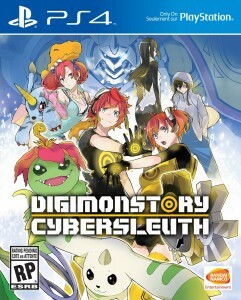 In the Digital World you’ll explore cyber dungeons, fulfil quest objectives, battle Digimon and meet all kinds of NPC’s some of which are hostile and challenge you to fights. This helps maintain the pace of Cyber Sleuth which is a little slow to start but once it gets going captivates you all the way to the post game. 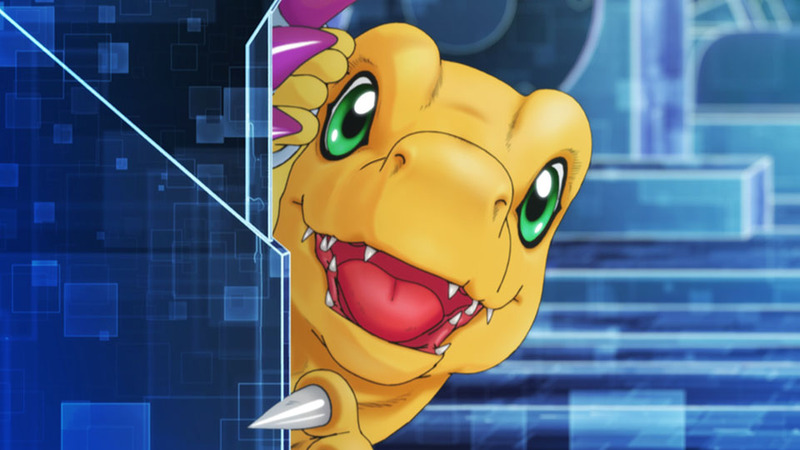 To help this along there are plenty of side attractions in the form of Medal collecting, Tournaments, the DigiText system in which you get texts and reply to them for different outcomes and the meta game of DigiFarm which helps you raise the best collection of Digimon you can. One particular aspect I liked from the game and I felt it added to the Sleuth feel of it was the Keyword system, during conversation you are given certain Keywords, using these on selected NPC’s create a different line of Dialogue which may or may not help you achieve your objective. Sadly as well as it works it’s just far too safe in that only a few NPC’s actually get this option so it’s not quite the game changer it could of been, this also applies to the game in it’s entirety in that everything works but it’s just too safe to carve out it’s own mark. 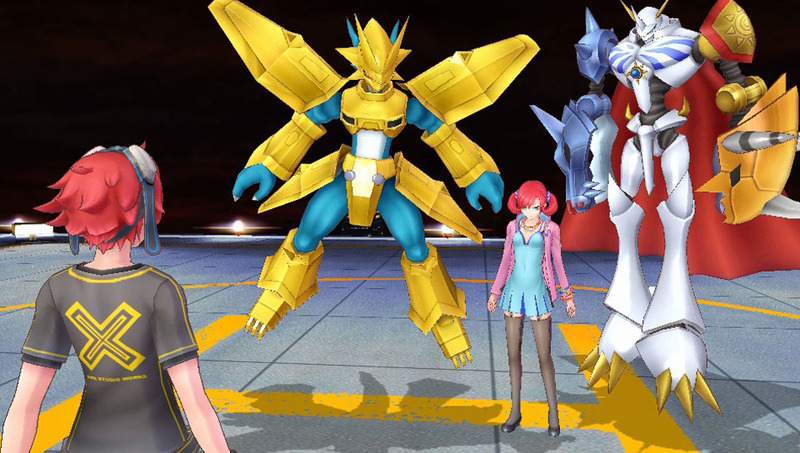 Digimon Story: Cyber Sleuth is a fantastic JRPG and works as a great reminder of why the genre is still popular, it doesn’t break the mold and plays it completely safe while creating an interesting narrative and addictive gameplay. 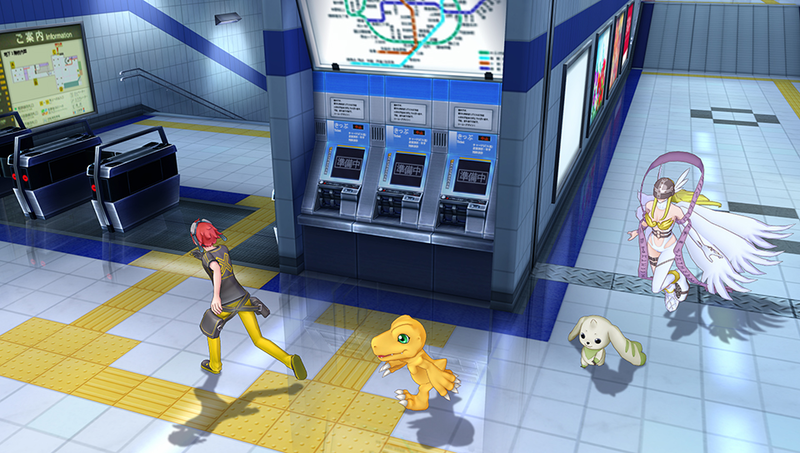 Digimon won’t convert people over to JRPG but it may (and especially in my case) convert some people over to the Digimon franchise, it’s got style and substance as both a Vita and PS4 title it’s just a shame that it never quite guides itself into it’s own groove and will more than likely be described as “Persona-lite” or “That Pokemon style game”. 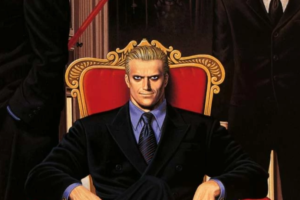 For those that look past it’s lack of personal identity you’ll be pleasantly rewarded with one of the more enjoyable and interesting experiences you can get especially on the PS4 where the art of the JRPG is slowly dying out. Adorable little monsters make you feel ill!